Next is katieallen8090. What pretty colors. Last but not least is LegalWoman17. I am loving all the squares. I mailed one purple and one white square today. You should receive them Wednesday. Do you still need a square?. I could make one today and mail that to you. I usually do not make squares, I was never "in to" that. 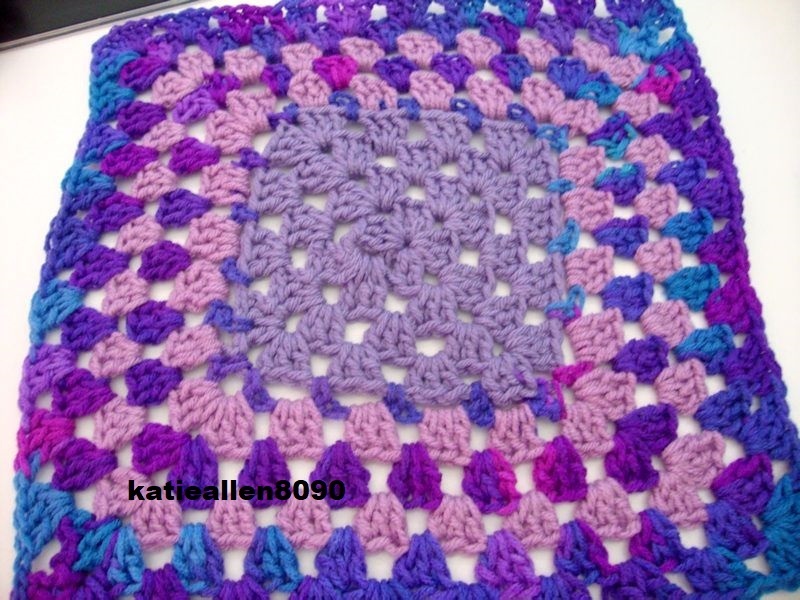 Yes, thru my crocheting life time I made a couple plain granny squares for my daughter as a wash cloths. Yesterday I was looking on line at bunch of different fancy designs 12" squares. I came a cross one that I think I would like to try:). It would be a mix: med. 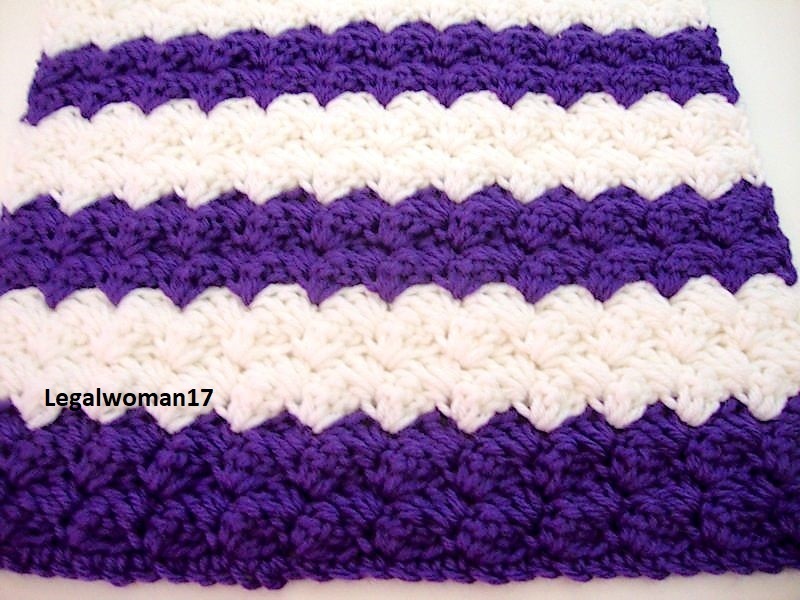 purple & white. I think it would look very nice. There are many different stiches in that square, not only "granny stitch" LOL. Dwow thats gonna be a stunning ghan ary y jo. have tw more if you need them going out nex week ok. Nice work everyone. Mailed 4 this morning. Supposed to be there Fri. Thank you all. I will keep my eye out for all the packages. Krys I sent you an e-mail. Can't wait to get all the squares and see how they go together. Looking to maybe outline in white with a Purple scallop on the last row. Any other ideas? Got 4 more squares. Ansept and Avon Lady. Thank you both very much. Avon Lady that color is going to be beautiful. As soon as I get pictures, I will post them. 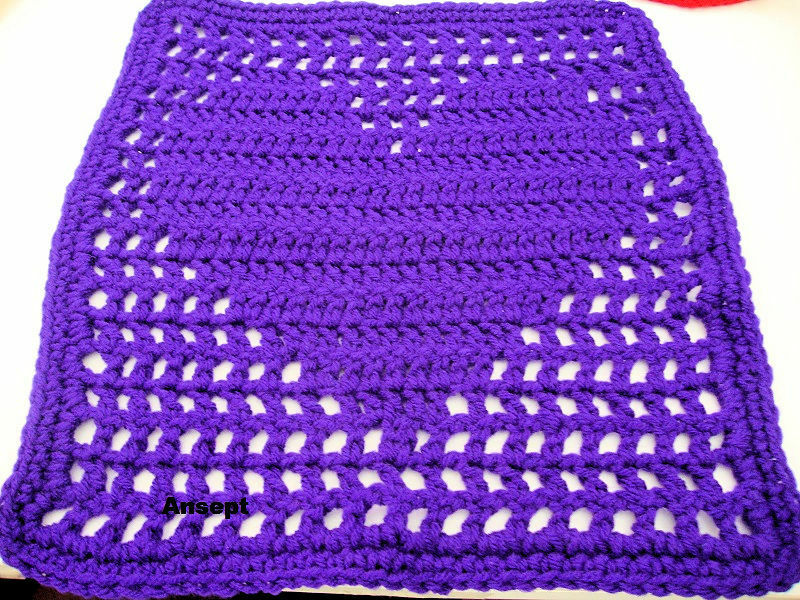 Here are the squares from ansept: Look at the hearts. 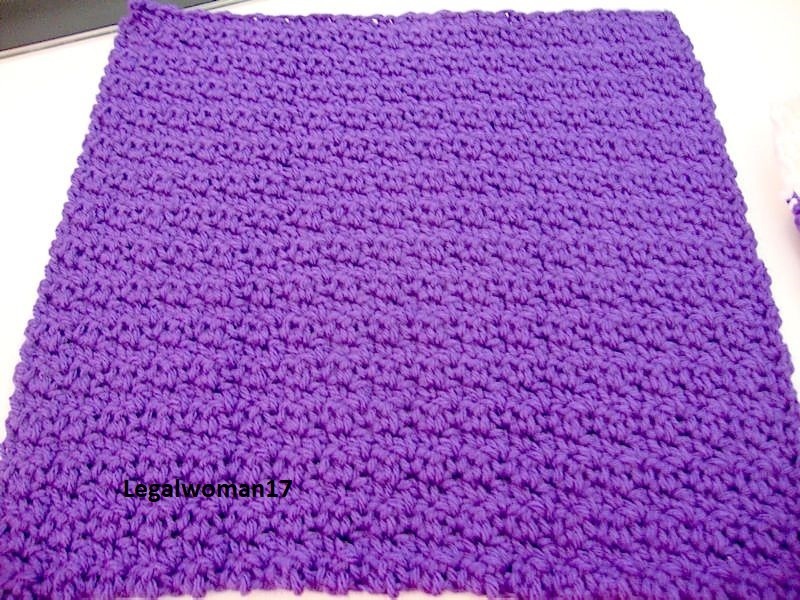 Look at the pretty light purple squares from Avon Lady. This ghan is going to be so pretty. I think the white outline with purple scallops will be lovely. Thank you Empress Busy Bee I think that will look great also. I just got 3 more packages. Peggy85225 - Judianne & Jayashiangel. The are all so pretty. I may start laying out the squares this weekend. As soon as I get pictures I will show them. 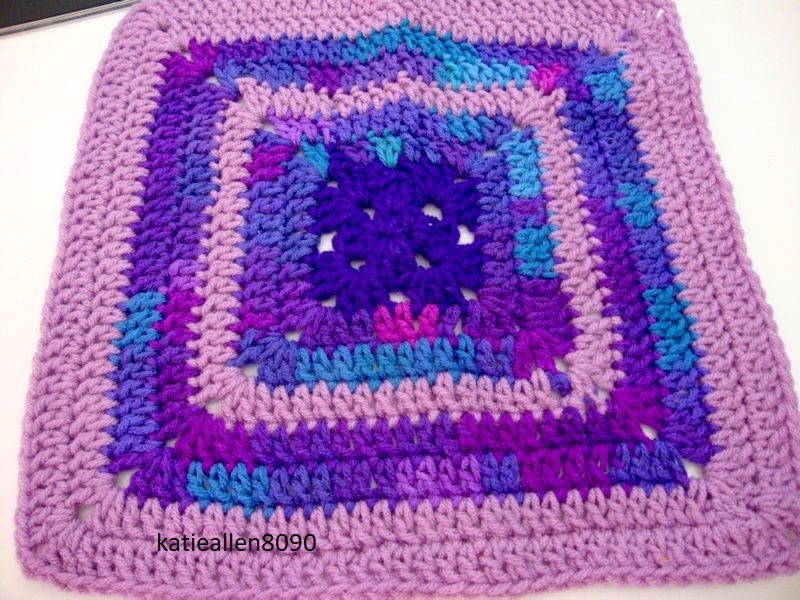 Here are the squares from Jayashiangel. I am loving the variegated colors. Judianne has sent some very pretty ones. This purple Ombre' is really pretty. Peggy85225's will be in two post as she sent 5 and each one prettier than the last. Thank you, I will keep an eye out. Mary Jo, this ghan is going o be amazing - I'm glad you're the one assembling all the pretty squares. I trust your eye for things like this so very much! When you are done, how about coming down here and organizing mine. Off to check some things out. Jay, I second Mary Jo - could I borrow your mom too?? My yarn closet had so many bags of WIPs and leftover yarn I had to pull out some piles of certain colors and put them in containers and set them around my upstairs sitting room so I could see what I have! You are not alone! Got some more squares today. When the thunder and lightning stop, we will get pictures. LegalWoman17 - bgs - katieallen8090 are the ones I got today. I think when I get the last that re in the mail, I will have enough. I will start to lay it out on Monday. Inquiring mines want to know......Do you need more squares? ?